Today’s Indy Style appearance was all about celebrating the month of October. 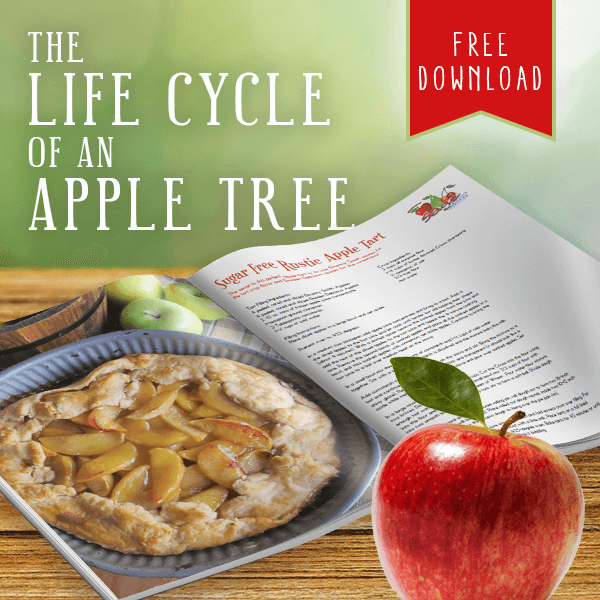 October is National Apple Month so we collaborated with our brand partner Sage Fruit to bring you fun apple recipes to enjoy all month long. October is also when fall goodies like acorn squash and pumpkins hit the produce department. And of course, it brings one of everyone’s favorite holidays, Halloween. Caramel apples are great, but they’re not the only topping that goes well with apples. For an exciting spin, try dipping apples into white chocolate. Parents of children with braces will be happy to know that chocolate-covered apples are braces-friendly! Melt the white chocolate in the microwave, per instructions on the package. Dip apples into chocolate and cover completely. Let excess chocolate drip off the apple. Sit apples on wax paper until the chocolate hardens. Admittedly, this is not a true salad. But it is fun and festive for the month of October. As much as we love fruits and veggies around here, we also embrace indulging in a little Halloween candy. Mix together whipped topping, instant pudding, and milk until well-combined. Add in chopped candy bars and apple pieces. Eat as is or add on top of acorn squash slices to make “nachos” (see below). Have you noticed all the hard squashes hitting the produce department? Many of them are locally grown. We’re showing you a fun way to turn Acorn Squash into a savory nacho dish. For dessert, treat yourself to sweet acorn squash nachos featuring the apple and candy salad from above. Cut an acorn squash in half and remove seeds. (Seeds can be saved and roasted like pumpkin seeds.) If you have a hard time cutting through the squash, put it in the microwave for 5 minutes to soften it. Cut acorn squash halves into approximately 1-inch slices. 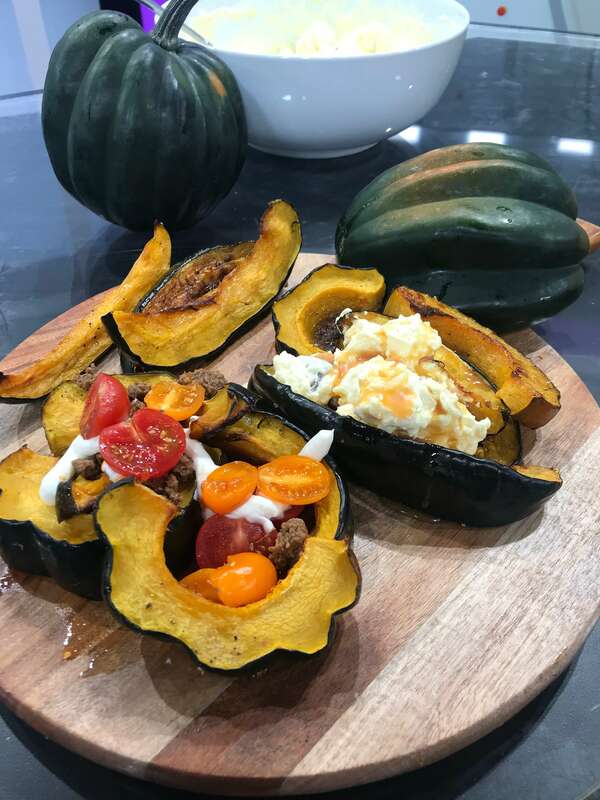 Place squash slices onto baking sheet and drizzle with grapeseed oil. Sprinkle with salt and pepper. Roast squash in the oven at 350-400 degrees Fahrenheit for 35-40 minutes. For savory nachos, top roasted acorn squash with taco meat, tomatoes, sour cream, and hot sauce. For sweet nachos, top acorn squash with apple candy salad. 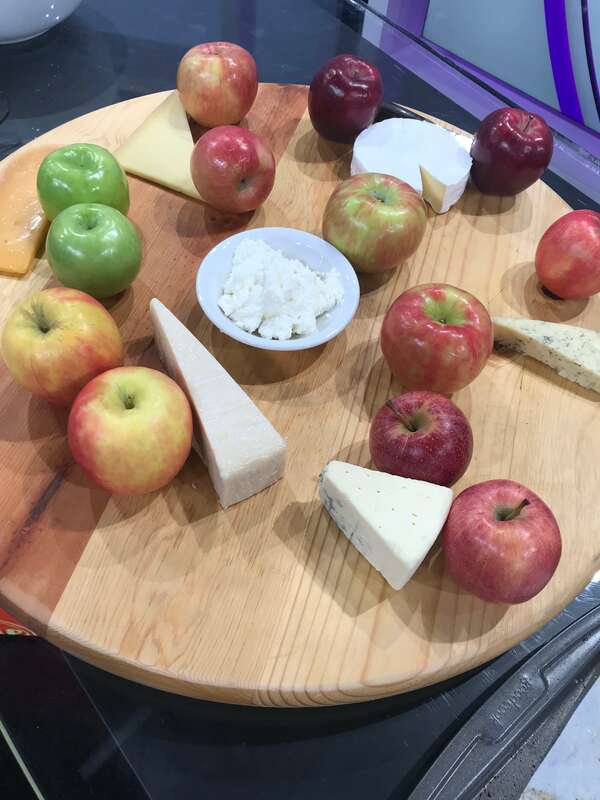 When you know which apples to serve with which cheeses, they are an amazingly delicious combination. 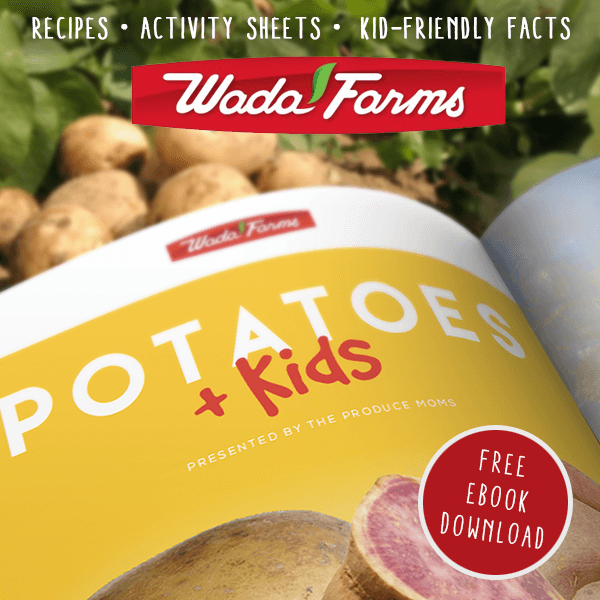 Save this guide if you plan to entertain this fall! To learn which wines pair well with these wines and cheeses, visit the Sage Fruit website. They have an extensive guide. We all know the pumpkin is great for carving. 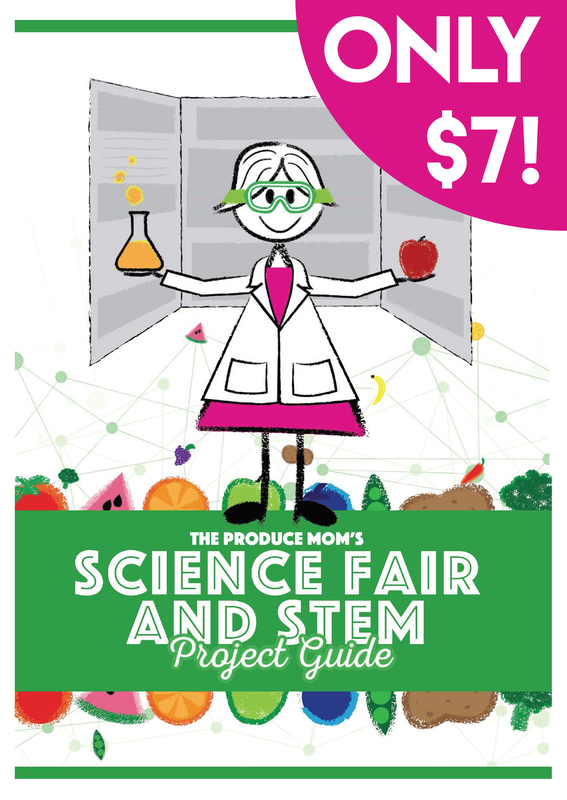 But did you know watermelons and pineapples also work great? Pineapples are especially fun as their decorative crowns double as funky hair-dos for your carved pals. The process of carving watermelons and pineapples is nearly identical to carving pumpkins. Using a knife, slice off the top of the fruit. Then, scope out the insides, being sure to save the fruit for a later use. Finally, carve a face into the side of the fruit and light with a battery-operated tealight. Thanks for watching! 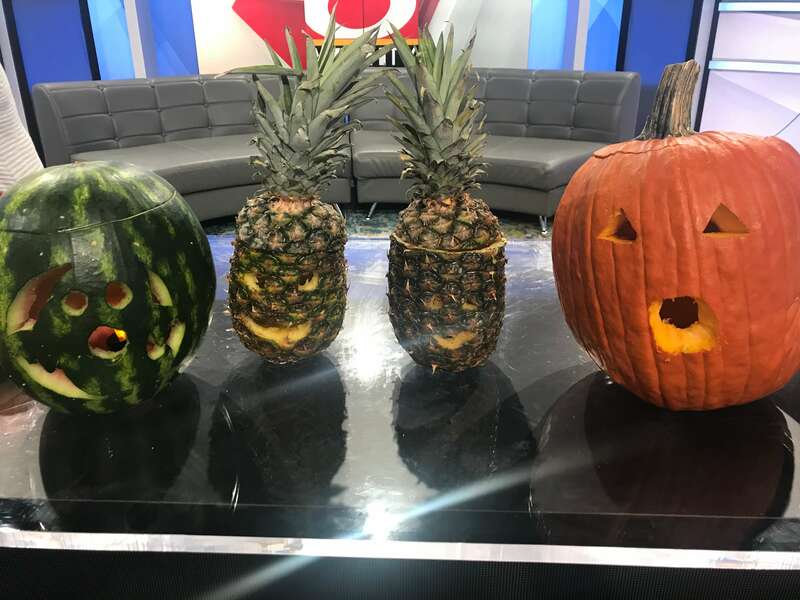 We hope today’s appearance inspires you to carve a watermelon or pineapple buddy for your jack ‘o lanterns. 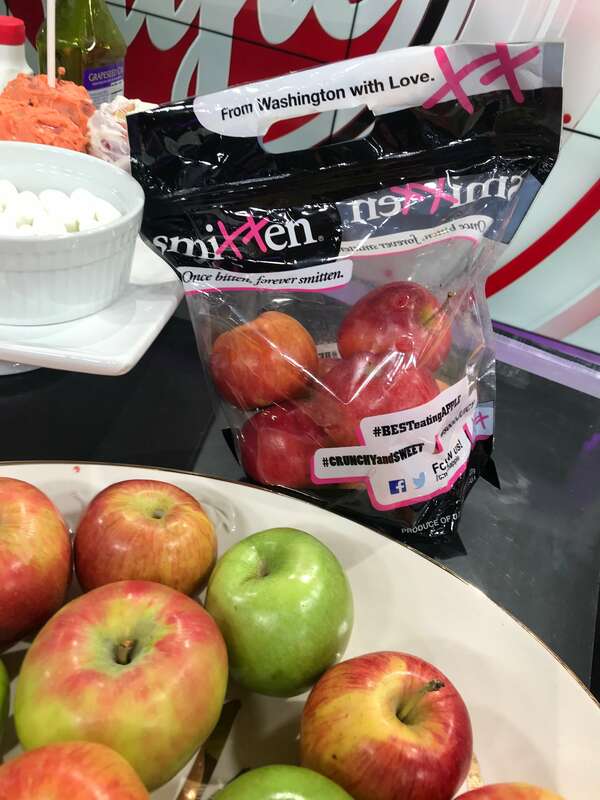 Share your photos on Instagram and tag us at @theproducemoms and @Indystylewish In the comments below, tell us how you plan to celebrate National Apple Month.